Stephen Larkham has been fired as Wallabies attack coach eight months out from the Rugby World Cup. Larkham, who made 102 test appearances and won a World Cup for Australia, couldn’t agree with head coach Michael Cheika on attacking strategy or game philosophy in the wake of the national team’s worst seasons in six decades. 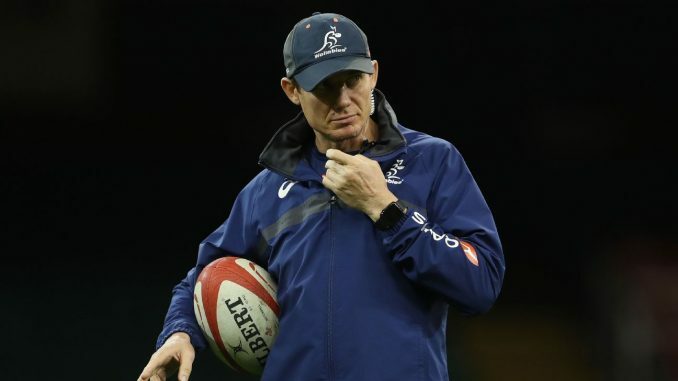 Larkham’s removal is the first coaching change made by the Wallabies after a 2018 season in which they won only four of 13 tests. Cheika’s own job was in jeopardy at the end of last year. Larkham has been the Wallabies attack coach since 2015 when, with Cheika, he helped guide the Australian team to the final of the World Cup in England. “Ultimately Michael is responsible for the performance of the team,” Larkham said in a statement. “We have differences in attacking strategy and overall game philosophy. Australia won the Rugby World Cup in 1991 and in ’99, when Larkham played a key role in the triumph, and lost finals to England in 2003 and to New Zealand in ’15. But the Wallabies plummeted in the international rankings from No. 2 to No. 7 at one stage last season.